Employees don't leave companies. They leave bad managers. Bad managers are the number one reason employees quit. We've all experienced them at some point. 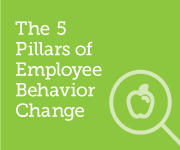 They are the leading cause of employee disengagement. So where do great managers come from? Read our new e-book, The Secret Weapon to Driving Employee Success, and learn key strategies you can start using today to develop your managers, and keep your top talent. Can cricket make a U.S. comeback? Most people say that it is the intellect which makes a great scientist. They are wrong: It is character."